Sound affects the body at the molecular level as vibration is what is at the core of your very being. Receiving vibration through physical / energetic work with sound can help to realign your physicality with the quantum vibrations that are forming the timespace you are currently functioning within. This will help you to come back into alignment with yourself on multiple levels, the molecular level and beyond. There is information stored within the structure of your body that your conscious mind doesn't necessarily always have access to. This information is coded into your very physical being, your physical body. You can see symptoms of this in the way that the body forms itself within the Golden Ratio / the Phi ratio, patterning itself within the ordering of the Fibonacci sequence. But it goes much deeper than this, your physicality is built with and coded by geometry that holds specific information. When you can bring yourself into vibrational alignment with this informational geometry you can start to access parts of that information at a conscious level. Humanity's idea of information storage and recall through logic within a logical mind is very ineffective. It works to a certain extent, but how accurate is your memory? Can you perfectly recall your childhood? Or last year, or even yesterday for that matter? Never mind recalling the past / parallel lives and/or multidimensional information...that just is not going to happen from the level of your logical mind. Geometry is a much more precise informational storage device. Physical geometry as well as energetic geometry, as the physical is just a symptom of energetic patterning anyways. So yes, your body stores vast untapped access to information at the molecular level, to the level of your DNA, to your skeletal structure and muscular structure. The only way to access this information is by coming into vibrational alignment with those geometries, quite literally turning yourself to them. Sound can help with this immensely if the person is ready and willing to allow it. On the physical level, this is how healing can occur with sound. This is only the physical level that we have been talking about, but it is the same on an energetic level. You can bring yourself into vibrational alignment with different levels of multidimensional information...information only accessible to humans by way of entrainment to higher dimensional reality. Sound can be a very effective tool to bring yourself into vibrational resonance with this higher dimensional information. You humans are multifaceted beings. You have many talents that are hidden from you when your focus is on only the physical / logical portions of your selves. Allow yourself the space for inner exploration. This is so very important. Everything in your carefully structured / manipulated reality is designed to keep you focused outside of yourself, on the physical / logical levels. The answers you seek to free yourselves are not located outside of yourselves. It is time to look elsewhere. The use of sound can very much help to surpass this physical / logical fixation and move into alignment with greater portions of yourself, to access greater portions of your multidimensional selves. Think of cymatics. Cymatics show you how specific sound frequencies organize physical matter into coherent patterns. Intentionally working with sound has the same effect on the physical, energetic, and emotional bodies of human beings. Specific intentional use of sound can bring portions of yourselves that may be out of alignment back into alignment...back in tune with the symphony of your existence. Intentionally tuning yourself in specific ways with sound; specific frequencies, specific intervals, specific intervallic patternings, specific harmonies, specific harmonic overtones; can bring these geometries into a very specific ordering that allows for access to different aspects of multidimensionality and multidimensional information that are otherwise unavailable to you. Tuning yourself in specific ways brings you in phase with specific information...but while you are tuned another way the pathways to that specific information are not as readily accessible. This is because the information is being downloaded via entrainment to specific energetic geometries that become more readily accessible within your human consciousness by coming into resonance through specific sound frequencies and sound sequences. Without the specific resonant entrainment through vibrational patterning there can be no entrainment to that specific geometric informational field. Sound is not the only way to achieve this entrainment, but it is a wonderful shortcut. 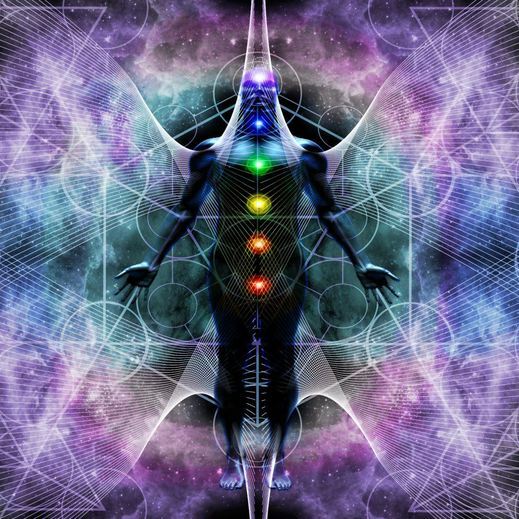 Some of this is information that you can access consciously, but 99% of what happens when working with these vibrational alignments affects you at the subconscious level by reordering energetic, physical, and emotional patternings held within and around you. Opening to and entraining to specific vibrational flows and holding specific resonance allows shifting to take place at all levels of your being. Accessing specific resonant geometry can activate specific changes within you to bring you into greater and greater alignment with yourself and the world around you, which in turn further actives and amplifies your experience of the awakening that all of humanity is undergoing at this time, like being on the fast track. Sound may not be the only way to access this geometric vibrational entrainment, but for many it seems to be extremely effective with vastly greater results that can occur on a significantly quicker timeline.